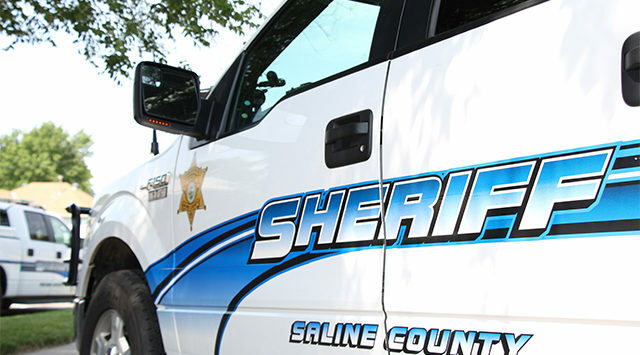 The Saline County Sheriff’s Office is among 150 agencies mobilizing for the Labor Day Weekend driving period. According to the agency, citizens are warned that during the period, Aug. 16 through Labor Day, Sept. 3, they will join 150 other local and state police agencies across Kansas in a crackdown aimed at removing drunk and other drugged drivers from the roadways. You Drink. You Drive. You Lose., is underwritten by the Kansas Department of Transportation. During 2017, in Kansas, alcohol and other drugs were implicated in 40 percent of the crash deaths on Kansas roads. Over the course of the year, this equated to one person suffering death every two days, and at least 163 families receiving death notification visits, all due to drivers’ decisions to drive impaired. According to KDOT, over the past five years the average proportion of fatality crashes attributable to alcohol impairment, alone, is 23 percent – or almost one-fourth of all fatality crashes. The agency also reports that crashes involving at least one impaired driver are likely to be more severe than are other crashes. For example, the risk of serious injury in a chemical impairment crash is almost five times that of the crash where such impairment is determined to have not been a factor. More striking is the fact that the risk of death is over fifteen times higher in the case of an impairment crash. Clearly, impaired drivers need to be taken off the road, for their good and for the good of others sharing the road with them. 1. If you’re going to drink while away, do it responsibly by looking ahead and lining up a designated driver before leaving your home. Don’t make the mistake of waiting until it’s time to return home to start asking around. Chances are, if you do that you’ll wind up with someone who might appear to be more sober than yourself, but isn’t sober enough. 2. Check your medications for driving warnings. More and more, in Kansas, DUI arrests are occurring during daytime hours, largely due to the side effects of prescription drugs. It’s not uncommon to find alcohol or illicit drugs present as well. 3. Think of a family you know – maybe your own – and consider how it would be to wake up every day to the memory of your decision to drive after drinking – a decision which unintentionally brought injury or death to one of them. If you’re driving impaired, you are not only more likely to crash, but you are much more likely to cause serious injury or death to yourself and others when you do crash. 4. A DUI arrest can cost you thousands and will result in the installation of an ignition interlock device in your vehicle. Imagine not being able to start your car without blowing into the interlock’s alcohol sensor several times during an afternoon’s errands. 5. We are asking all citizens on the roadways – drivers and passengers, alike – to watch for suspicious driving behaviors. Note location, a description of the suspect vehicle, and its direction of travel and call 911 as soon as it’s safe to do so. You may save a life. 6. You can count on this department to vigorously enforce impaired driving and other traffic laws, not just during this campaign but through the year. 7. Always remember that the best protection against an impaired driver (even when it’s yourself) is the use of seat belts and appropriate child restraints – every trip, every time. Restraints save lives and reduce injury severity across a wide range of driving mistakes and mishaps.